Project failure occupies a very high place in my list of risks, , , right alongside the IT – Business disconnect. 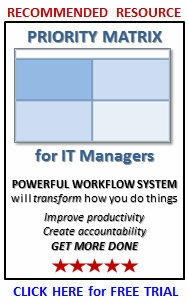 The reason is that an IT organization builds credibility by delivering projects successfully. If you can’t “do what you say you will do”, , , in other words, deliver projects successfully, , , then you won’t be credible. This means you have to complete projects on time, within budget, and meet the clients expectations of what you deliver (also known as delivering the expected value or benefits), , , three key ingredients for success. Studies and surveys point out every year that IT projects have a high level of failure in most companies. It’s time to fix this problem and start building a track record that shows your clients you, “do what you say you will do”. I call these three bullet points the “front end” work. Most IT employees (both managers and technical staff) have two personality traits that works against them in this area. The first is that over 70% of us are shy and introverted. 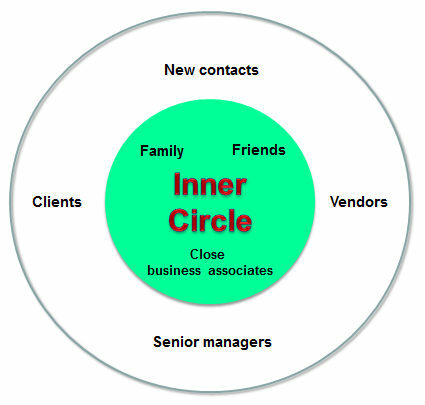 What this means is that we don’t really like communicating outside our inner circle, , , and clients are definitely outside that circle as you can see in the graphic below. We may be “the life of the party” with our inner circle groups, but most IT employees tend to be much more reserved and shy in social situations with people outside that circle, , , we don’t communicate as well with groups outside our inner circle. The second part that causes us to fail to clearly define the project is that 85% of us have a high sense of urgency so we want to start the work as quickly as possible, complete it, and then move on to the next project. then there is no way you can complete a project successfully. Scope creep is where a project task was estimated to take 8 hours, but discussions with the client and others identify additional things that can be done to make the project “even better”. Before we know it, our 8-hour task is now 20 hours. The biggest culprit in creating scope creep is our own IT people, , , not the client like you might want to think. Our people are smart, creative, and conscientious, , , they want to do a good job. So, they work with the client on an issue to complete their task and come up with great ideas to make things even better, , , before you know it the client wants more than what we originally committed to. 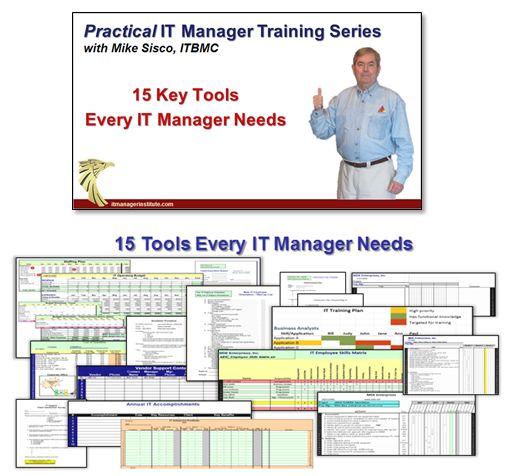 With today’s project management methodologies, tools, and training there is every reason any IT organization should be able to improve upon its project success track record. When you do, your credibility improves and that leads to success as a CIO. 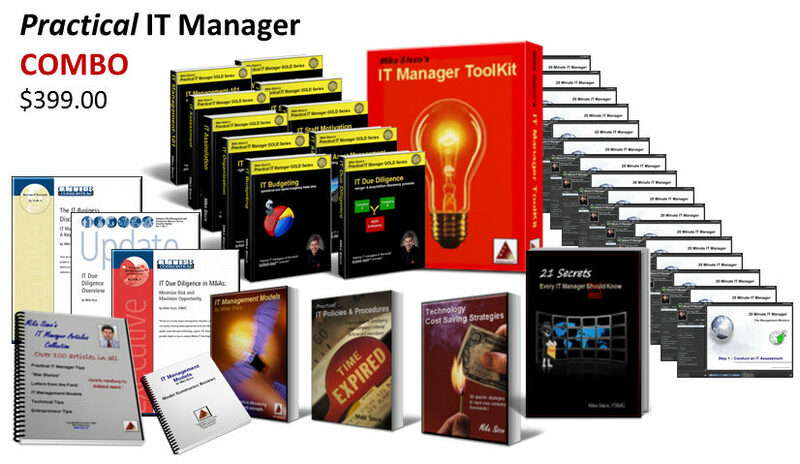 This entry was posted in IT Manager Tips and tagged key to project success, project management - key to credibility, project management risk, project success, successful project management. Bookmark the permalink.